Irene Lee was a talented and ambitious designer with five years under her belt at Google, but her high-profile (and incredibly demanding) job wasn’t necessarily scratching her creative itch. It wasn’t until her son Sebastian (“Bash”) was born that she got up the courage to dramatically adjust course. She left the tech giant to launch Bash + Sass, a line of gender neutral, ultra-cozy kids clothes. That was nearly two years ago, and Lee just released her third collection and expanded the sizing up to 12 years. The cheeky monsters that subtly show up on each piece may be something of a metaphor for the designer’s independent, adventurous streak—Irene is currently traveling throughout Asia on a “Seoul-searching” trip with a fellow designer. 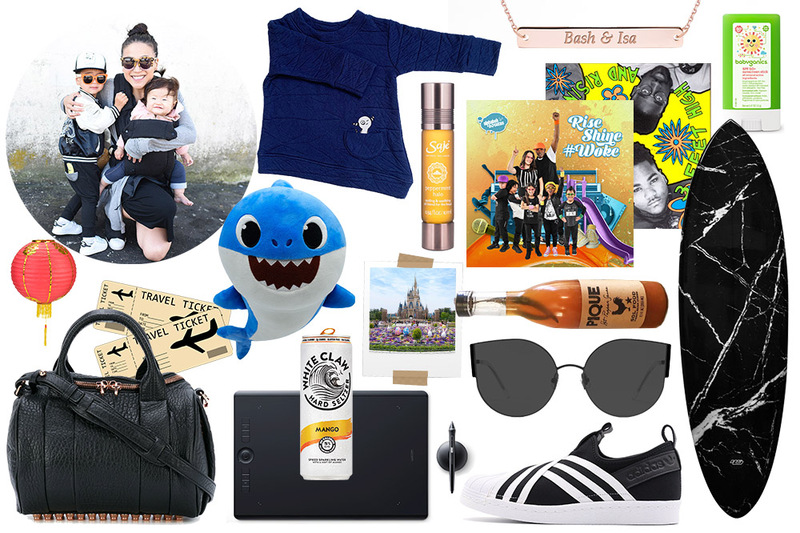 The fun-loving mama of Bash, 4, and Isa, 2, shared with us her 20 current Mother Essentials, ranging from cool kicks to old skool hip-hop tracks to the best Puerto Rican hot sauce. Alexander Wang Rockie Tote. “My go-to bag when I’m not in ‘mom-mode.’ The edgy style and rose gold hardware had me at ‘hello. '” Alexander Wang Rockie Tote, $1,004, Farfetch. Wacom Pen Tablet. “As a designer, this pen tablet is like another limb. I use it daily for all my digital design and photoshop needs. I can’t function without it.” Wacom Bamboo Pen Tablet, $69.95, Amazon. Baby Shark. “Isa is obsessed with sharks and this is sooooo her jam—along with 2 billion other little listeners. This song haunts me in my dreams.” Baby Shark, Pink Fong, YouTube. Bash + Sass Kids’ Clothes. “I’m lucky that both of my kids are happy to wear what they inspired their mama to create. The latest collection’s monster, named Boom, proudly represents confidence, and their faves in heavy rotation are the asymmetric pullover in blue quilt, hi-lo hoodie, and hammer pants in grey stripes.” Starting at $48, Bash + Sass. Saje Peppermint Halo Oil. “Everybody’s got stress, right? Roll on, stress off. Bash says I smell ‘so spicy. '” Saje Peppermint Halo Essential Oil Wand, $26.95, Saje. Adidas Superstar Slip-On Shoes. “I literally live in these shoes, and may or may not have 3 pairs—don’t judge. Comfort mixed with minimalist and street style? Yes please! If I were a shoe, this might be it.” Adidas Superstar Slip-On Shoes, $80, Amazon. Gentle Monster Sunglasses. “Love the modern, yet subtle, edgy details of these sunglasses. I’m super picky when it comes to eyewear and never leave home—or travel—without them.” Gentle Monster Sunglasses, $303, Farfetch. Pique Hot Pepper Sauce. “This Puerto Rican hot sauce is seriously addictive. The vinegar-based bottle of joy has a spicy, tangy kick that works on just about everything, especially eggs! I always pick up 3, or maybe 5, bottles when I visit my favorite PR resto, Sol Food.” Pique Hot Pepper Sauce, $12, Sol Food. Alphabet Rockers. “The kids and I are huge fans of this Grammy-nominated hip-hop group for kids. Their songs spark intergenerational and social justice conversations that empower kids through music. The song ‘Shine’ is where it’s at.” Alphabet Rockers, #Woke, $9.99, iTunes. A Roller Skating Jam Named Saturdays. “Also on the topic of music, this De La Soul song makes me get up and shake it every time. It’s a nostalgic soul tickler and I love it. Growing up outside of Detroit, I’ve got Motown and old-school hip-hop in my bones.” A Roller Skating Jam Named Saturdays, De La Soul, YouTube. Rose Gold Name Plate Necklace. “I had this custom-made right before the birth of my daughter Isa, with both my kids’ names on it, and I never take it off. It’s a simple design that has so much meaning to me.” Rose Gold Nameplate Necklace, custom, Anna. SPF Sunscreen Stick. 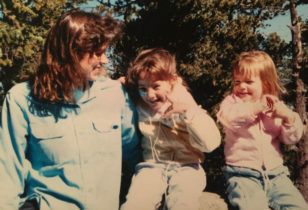 “When your kids will only sit still for 5 seconds or less, it’s my only sunscreen hope. Plus, it’s cute and compact.” Babyganics Pure Mineral SPF 50+ Sunscreen Stick, $15.90, Amazon. Little Dreamers: Visionary Women Around the World. “This bedtime read is a favorite for both my son and daughter. We all get snuggly under the covers and learn and talk about these inspiring women.” Little Dreamers: Visionary Women Around the World, $14.94, Amazon. Ozma Jumpsuit. “I never met a minimalist adult ‘onesie’ I didn’t like. My uniform right now is this utilitarian jumpsuit by Ozma.” Ozma Painter’s Jumpsuit, $365, Ozma. For more on Irene and Bash + Sass, check out her Instagram feed. 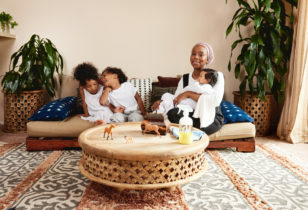 And for more Mother Essentials, peep our past columns with artist Kindah Khalidy, clean beauty expert Tara Foley, Oakland retail queen Sherri McMullen, fashion designer Anna Chiu-Chiles, Shahidah Zareef of Bossmom Nation, Joanne Encarnacion, LaTonya Yvette, Morgan Walker of Make.do, Jeanne Chan of Harlow & Grey, and more.